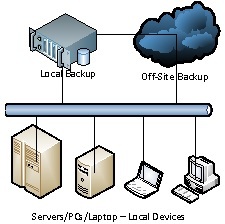 On-site backups on hard drives or other backup devices that are directly connected to your Servers, PCs or Local Network. Backup data stored locally has both benefits and disadvantages. Benefits include inexpensive backup media, installation and speed of backup and restores. Disadvantages include potential loss of data through theft and local disaster. An offsite backup is literally backup that’s stored “off-site” — in a different physical location from where your main files are i.e. a second location or as a Cloud Backup. 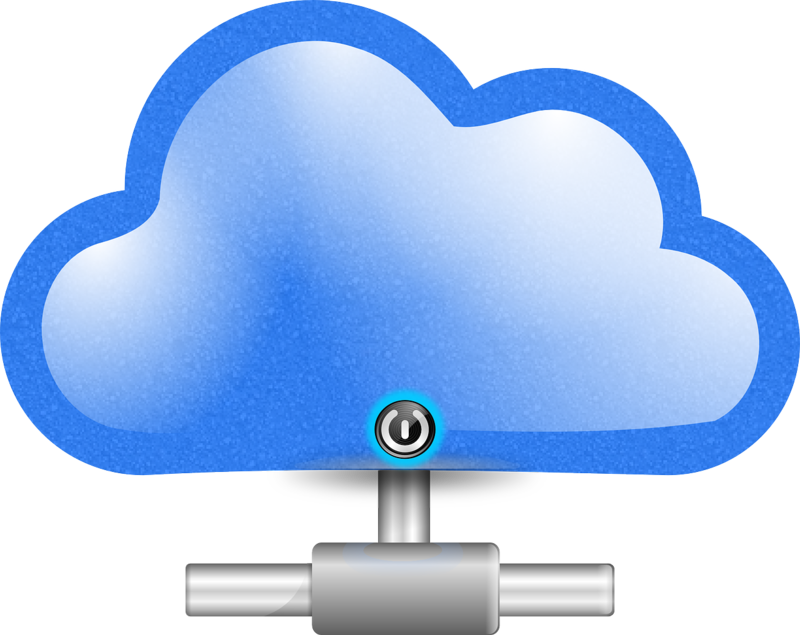 Cloud Backup is a term encompassing a multitude of locations hosted on the internet. Benefits include protection from catastrophic events such as fire or flood. Ability to restore to any location. Disadvantages include speed of data transfer in backup and restore. Offering the best of both worlds a local copy for fast backup and restore with the secondary location off-site.